The Summit aims to create a broad coalition that encourages innovation, sharing and institutional change. Provides a plural approach to well being. It can't be one size fits all. We want everyone to leave feeling educated and empowered, strengthened individually, and strengthening society and the globe. We will need to balance "happiness" and serious mental health conversations around crime, depression and suicide. Address how to take the stigma out of the conversation around mental health disorders so people will shamelessly seek support when needed. 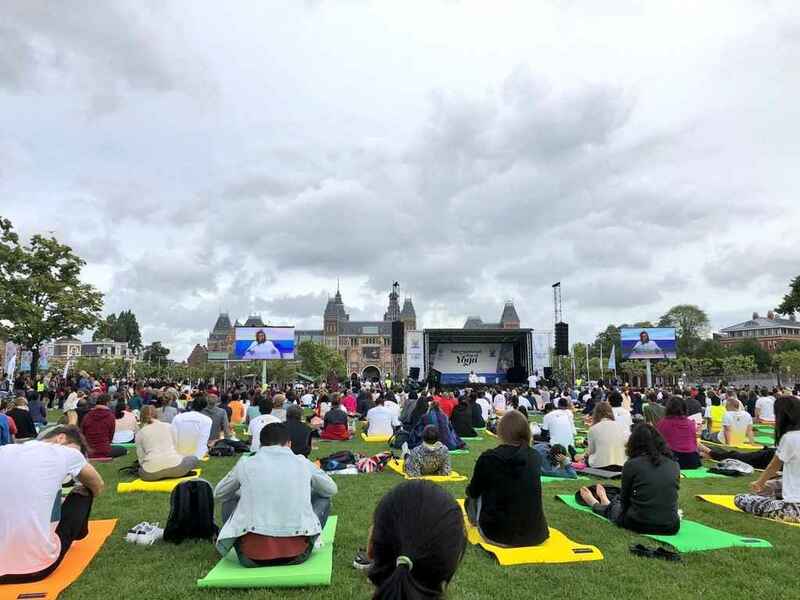 Global leader Sri Sri Ravi Shankar will lead a large scale healing Meditation in City Park to Commemorate the 20th Anniversary of the Columbine High School shooting on the evening of July 24th. Heralding in the end of a 20 year cycle of copy cat shootings and dawn of a new day of early identification, integrated services of health care providers, access to support, a deeper sense of connection, belonging, caring and community across all faiths, all religions, all parties, all races, all "differences" in solidarity for our one human family.